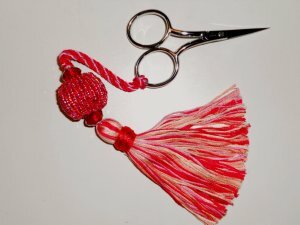 Make your own beaded scissors fob! You'll leave class with a completed fob-ulous project. Bead with Size 8 and 11 Sundance beads and learn how to make cording and tassels. Colors selections available. Class taught by Charli Hendrickson. Would you like to embellish a canvas with beads? be available to offer fantastic beading options. What to Stitch? An Ornament, a frame weight, an insert for a Lee cosmetic case?? So many choices - how do I get started? Select a stitch or two and learn how to create your own design! We'll gather for an evening of creativity - and the challenge? Each stitcher will select two stitches in our Canvas Challenge Drawing. Together we'll design a shape for you to transfer to canvas. and discovery how quickly you can become a canvas designer. Game starts at 5:10 p.m.
Join us for a fun evening of stitching at an Arizona Diamondbacks game. We'll sit together, stitch and watch the Diamondbacks! Tickets available for purchase at Old Town Needlework. and a special discount on finishing of the 4 Club Ornaments. Holiday Ornaments Series 2 is stitched on 18 ct. eggshell canvas using Waterclours, DMC Perle, Ribbon Floss and Kreinik Ribbon. 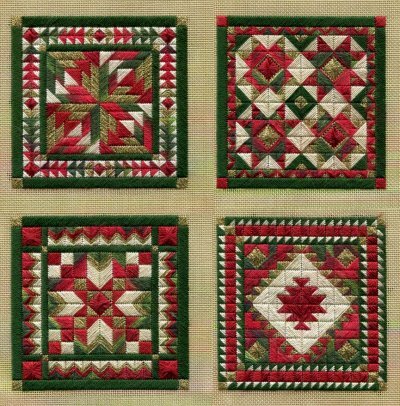 Each kit will include 4 - 8" x 8" cuts of Canvas, Charted Stitch Guide and all threads. 13 ct. white canvas available. spooky summer of stitching suspense! 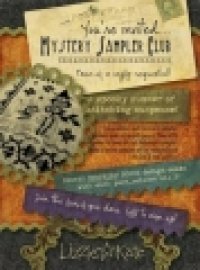 The Halloween Mystery Sampler is revealed in 3 chapters. The completed Sampler photo won't be revealed until the final pattern is released. Each release will include a section of the Halloween Sampler along with a bonus pattern. And the design isn't the only mystery. The color of 30 ct. Weeks linen and the Weeks floss used is a secret as well. The Sampler is stitched using 19 Weeks floss colors. One color is new and not scheduled for release until September. You'll have a special preview. Don't wait to turn the page . . . call to participate and insure you receive all the clues!! !